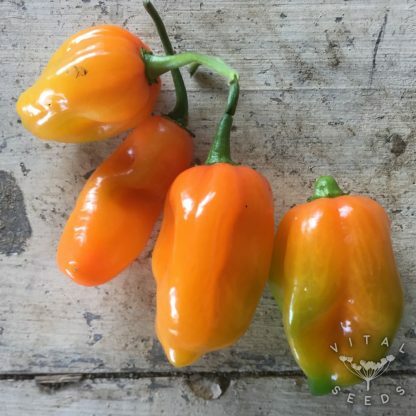 Bright orange, very hot and fruity, a variety that is productive and does better in cooler climates than most other chillies. 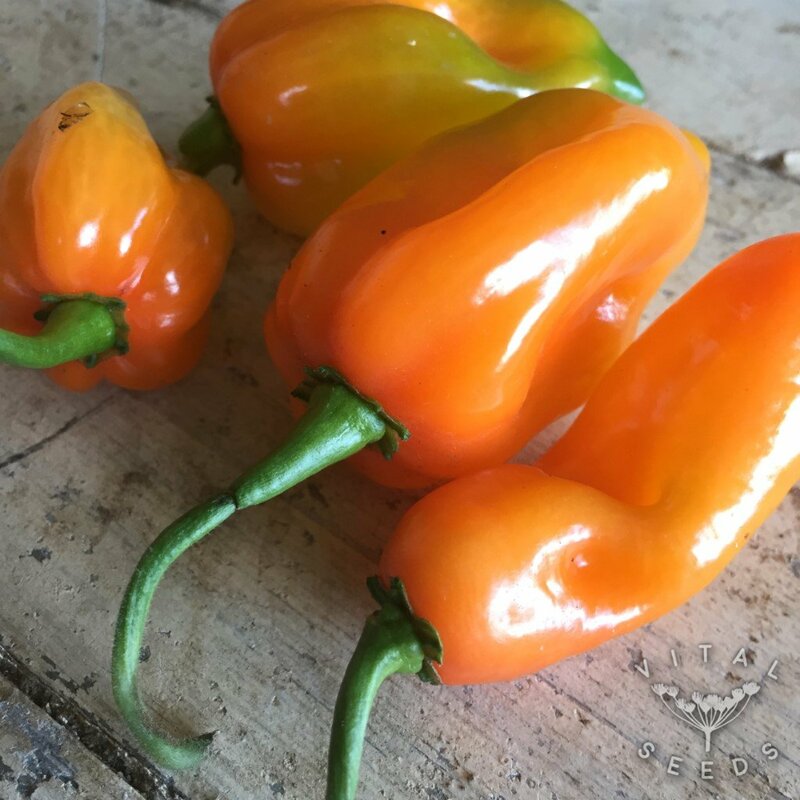 Habanero Magnum rates between 200,000 and 325,000 SHU on the Scoville scale and is therefore on the hotter end of the spectrum. A fruity almost floral flavour can be tasted when the initial spice has faded. It is a great ingredient for hot sauces or when powdered. A way of controlling the heat when cooking with it is to make a couple of holes in the chilli and then add it to the sauce – or whatever it is your cooking – as a whole and remove after a certain amount of time, that will determine the degree of fieriness.